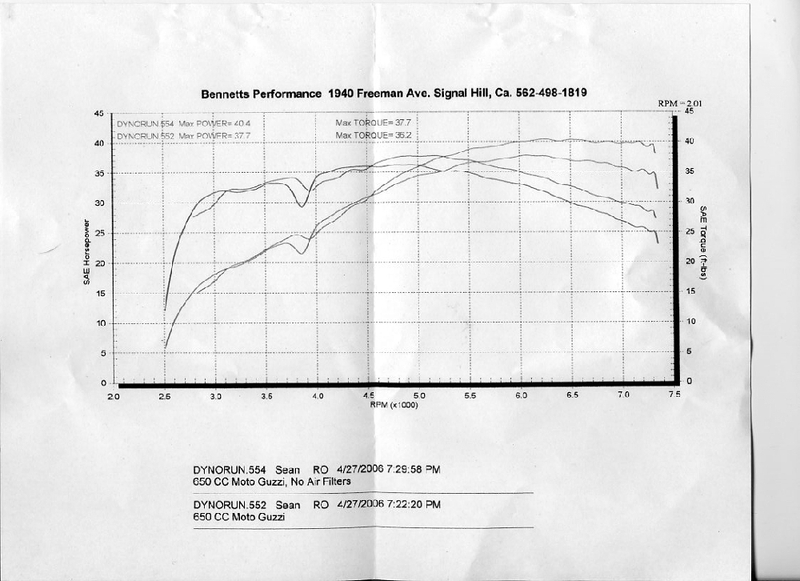 Here's a baseline dyno run for my V65 racebike. It's stock except for some mild headwork. 1st run is with Uni style open cell foam filters. Run 2 is without filters.